En español | Good news on the beauty front: The age bar is rising. The hottest faces around are authentic-looking grownups such as Isabella Rossellini, 65, for Lancôme, Maye Musk, 70, for Cover Girl and Helen Mirren, 72, for L'Oreal Paris Age Perfect, and the term antiaging has become nearly obsolete. Companies now are labeling products with goal words like glow, hydrate, repair and brightening, and they’re simplifying routines to make achieving healthy mature skin easier. Who needs "squeaky-clean" skin at 50? No oil-stripping soaps and gels for us. Drugstores are matching luxury brands with soothing cleansers packed with hyaluronic acid. 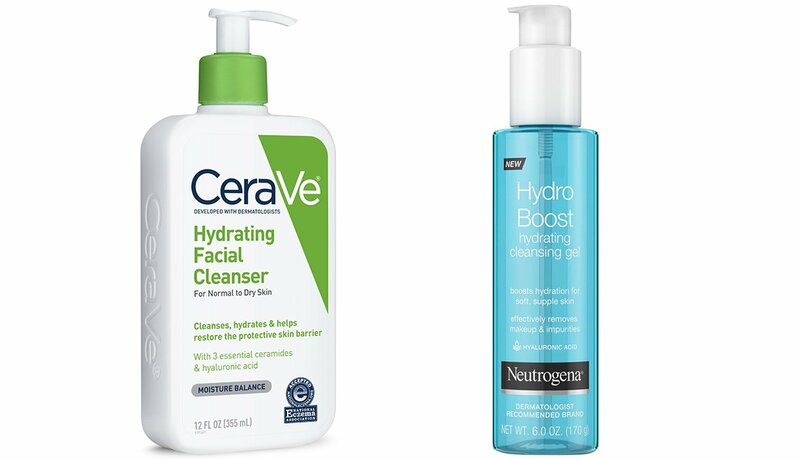 This rock star ingredient, now in affordable options such as CeraVe Hydrating Facial Cleanser for Normal to Dry Skin ($14.99 ulta.com) and Neutrogena Hydro Boost Hydrating Cleansing Gel ($8.99 ulta.com), pulls water to your skin and locks it in, so facial lines get plumped from the first splash. Slower skin cell turnover is normal post 50, but don't let dead cells dull your face with clogged pores and an invisible dry flaky "crust" that creams can't penetrate. 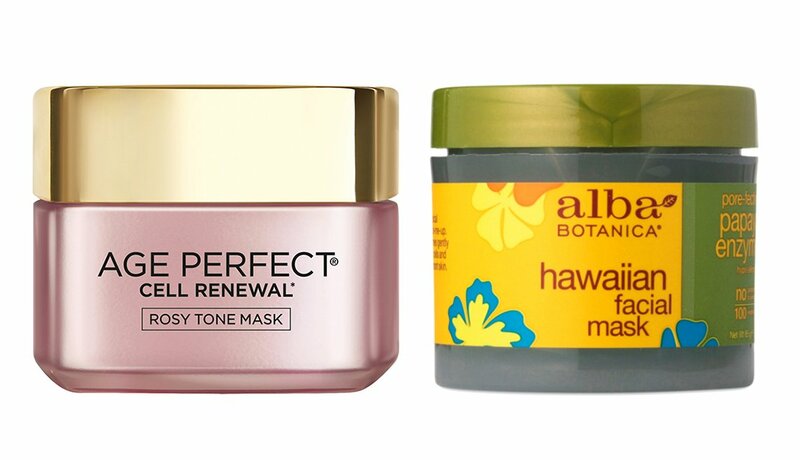 Instead of using gritty, harsh scrubs, try a fruit enzyme mask with papaya or pineapple, such as Mario Badescu Enzyme Revitalizing Mask ($20, ulta.com) or Alba Botanica Hawaiian Facial Mask ($8, walmart.com). Or try an alpha hydroxy acid (also a fruit acid) mask such as L'Oreal Paris Age Perfect Rosy Tone Mask ($20, target.com). Used once a week, they dissolve away dead cells with no scrubbing, so no irritation. These silky liquids are no marketing gimmick. They have higher concentrations of active ingredients with smaller molecules that absorb quickly and deeply into the skin and amp up your moisturizer and night cream. 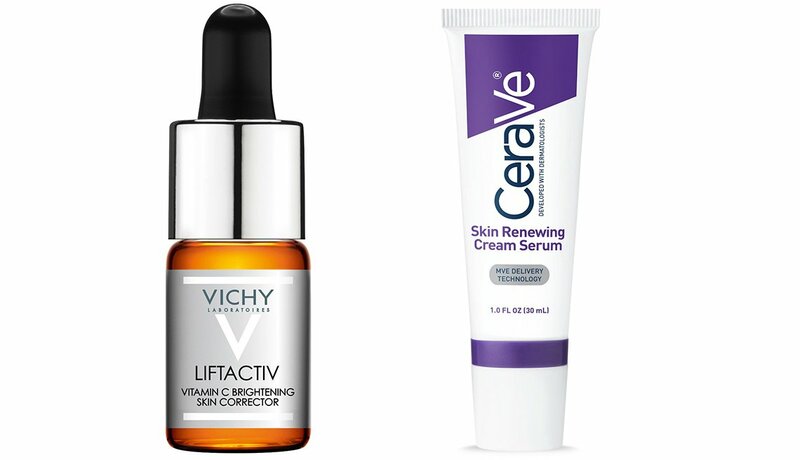 Choose according to need: A hyaluronic acid serum such as First Aid Beauty Ultra Repair Hydrating Serum ($36, ulta.com) enhances moisture; a peptide serum such as The Ordinary "Buffet" ($15, sephora.com) firms; a vitamin C serum such as Vichy LiftActiv Vitamin C Brightening Skin Corrector ($28.50, target.com) restores glow; and a retinol serum such as CeraVe Skin Renewing Cream Serum ($14, target.com) minimizes lines and wrinkles. Want juicy, dewy skin without using a heavy cream or separate ones for day and night? Beauty labs have produced two new formulas — hybrid gel-cremes and whips — that are light and airy but drench skin with moisture. The results are not all about texture. 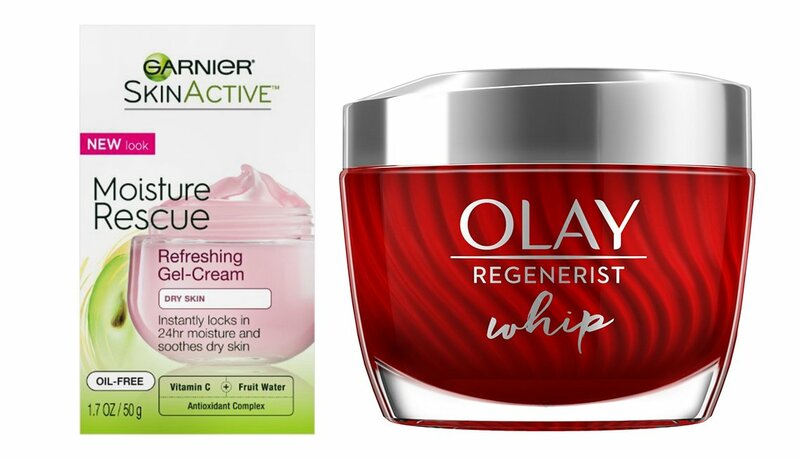 Expect proven ingredients such as antioxidants, peptides, vitamin C, botanicals and that hyaluronic acid we're loving — in gel-cremes such as Garnier SkinActive Moisture Rescue Refreshing Gel-Cream for Dry Skin ($9, ulta.com) and Clinique Moisture Surge 72-Hour Auto-Replenishing Hydrator Gel-Creme ($39, clinique.com), and in whipped creams such a Olay Regenerist Whip ($29, target.com) or Josie Maran Whipped Argan Oil Face Butter ($40, sephora.com). 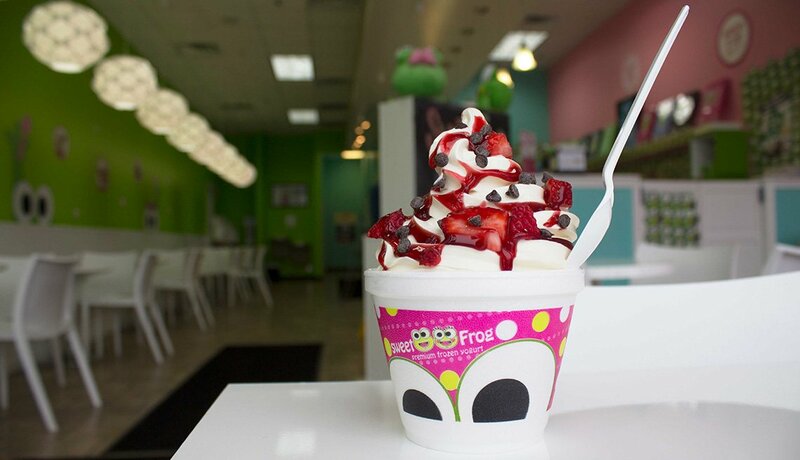 Feels delish! Who doesn't need an instant face-saver when fatigue, emotional issues and lack of sleep show? 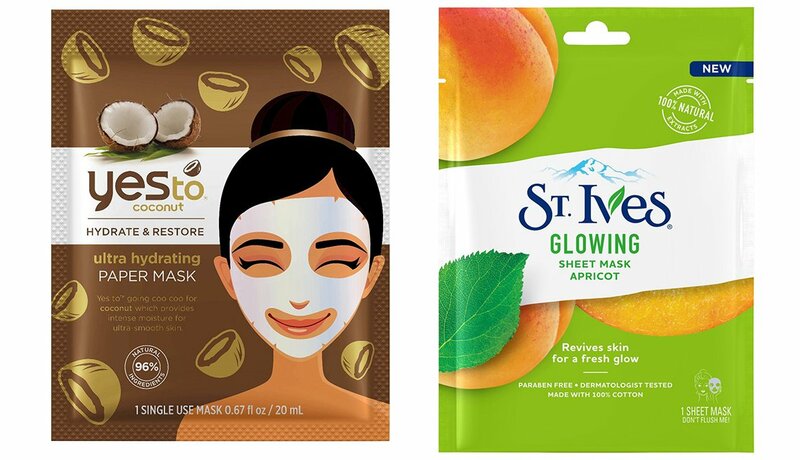 Get your bloom back fast with a no-fuss sheet mask such as St. Ives Glowing Sheet Mask Apricot ($2.50, target.com), Yes to Coconut Hydrate & Restore Ultra Hydrating Paper Mask ($2.50, target.com) or Pond's Hydrate + Firm Sheet Mask ($2.50, target.com). Pre-saturated with ingredients such as botanical oils, plant extracts and, of course, smoothing hyaluronic acid, these one-shot throwaways do their radiance thing quickly. You can even use them over makeup in a pinch. Many women think of their “beauty” routine as a from-the-neck-up thing. Well, there’s a whole lot of skin on the way down that needs attention, too. Your faithful and fabulous body’s gotta last a lifetime, so make maintaining the entire outer package (and its inner health, of course) a priority. You’ll look better dressed and naked, and who’d say no to that? Here are 10 tough-love tips on how to do it.